Butyrate scrubs and cleans the liver, the gall bladder and the biliary tree. 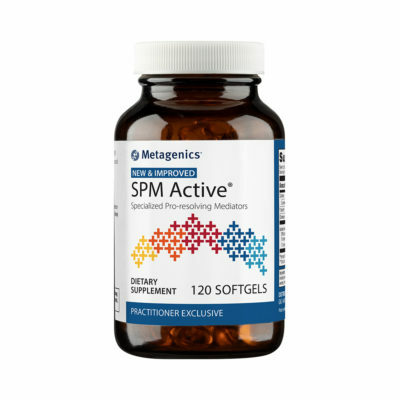 It also cleans the bowel, controls ammonia, removes ‘renegade’ fats (the very long ones that accumulate with age) and lowers the expression of inflammatory immune markers called cytokines. 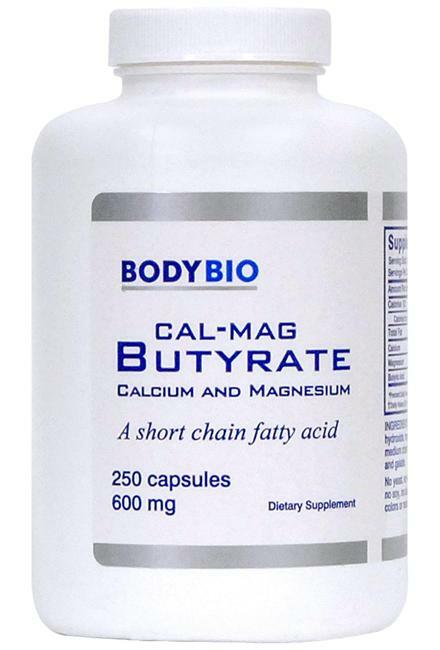 Butyrate is a short chain fatty acid (SCFA) that has been combined with calcium and magnesium. 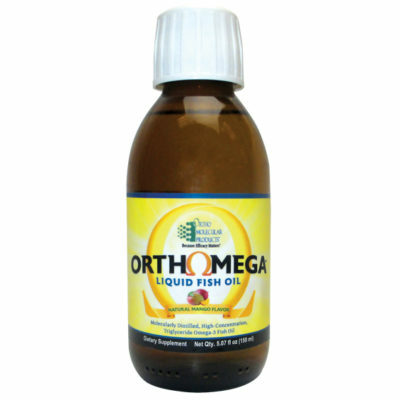 It is naturally produced in the lower colon by bacteria and taken up by the colonocytes, the cells that line the colon. It then becomes an important food for those cells. 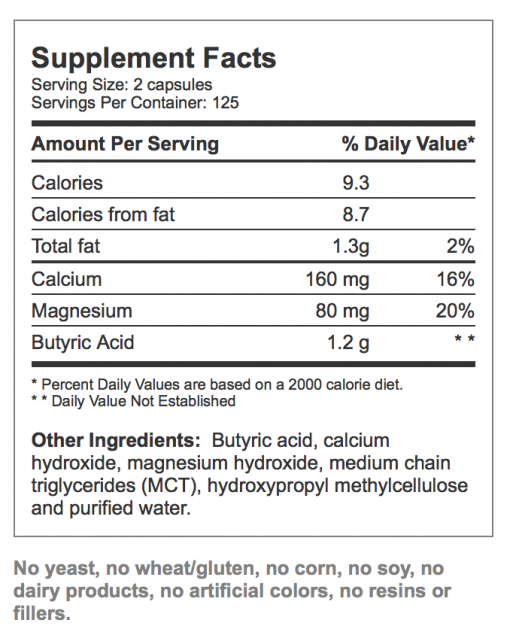 Lacking good bacteria in our colon, such as when we take antibiotics, can lead to an insufficient supply of butyrate. Butyrate scrubs and cleans the liver, the gall bladder and the biliary tree. It also cleans the bowel, controls ammonia, removes ‘renegade’ fats (the very long ones that accumulate with age) and lowers the expression of inflammatory immune markers called cytokines. 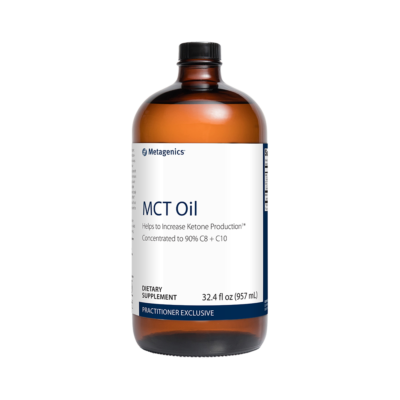 This product is often recommended to support those with hepatic disease caused by pathogens of alcoholism. 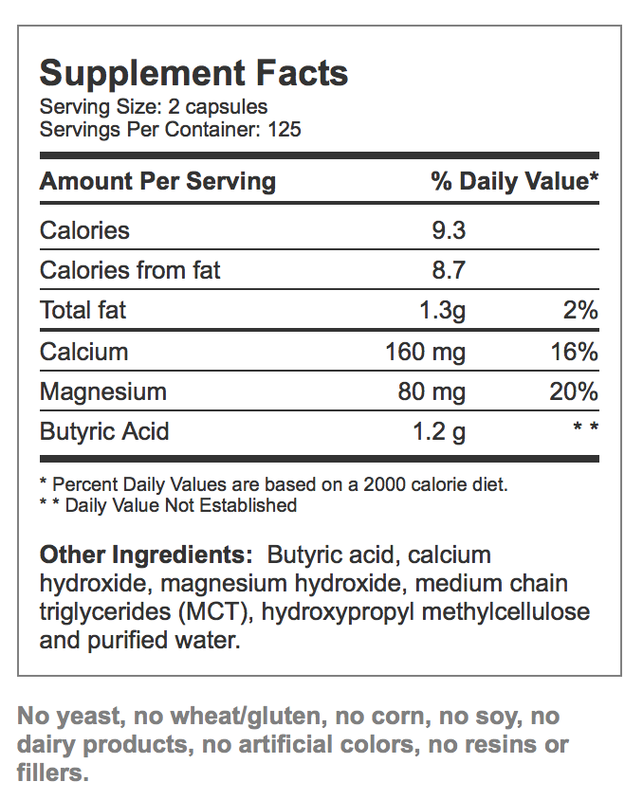 Usual Dose is 1-2 capsules with each meal, or as recommended by your physician.